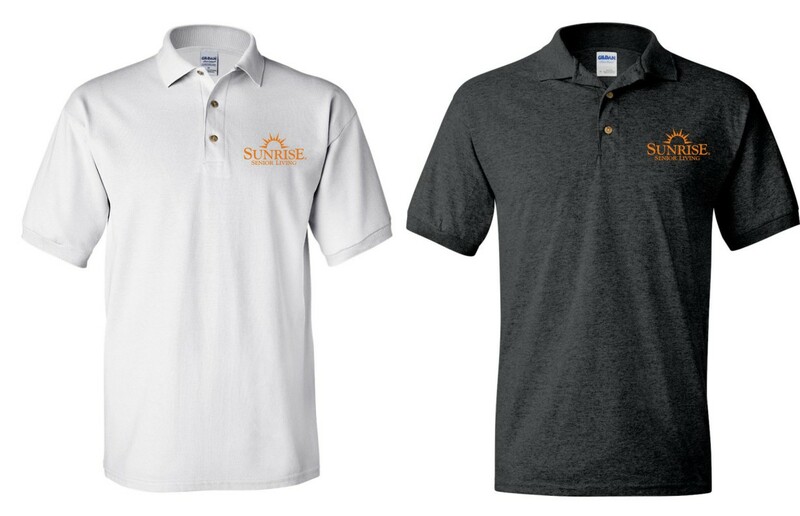 Polo Shirts, Dark Heather and White. Screened Logo. DryBlend Fabric 50/50 - 3-Button Placket - Knitted Collar/Cuffs. -Additional colors may be available, please ask!